Here we are in an isolated area. We are the only new RV dealer in Lake County. We can have any brand we chose. So why Skyline? Fifteen or so years ago, one by one, companies like Komfort, Mallard and Fireball were facing bankruptcy. Skyline had no corporate debt at all. Very impressive! 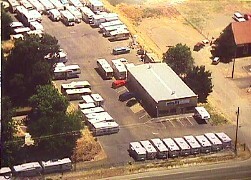 Skyline Corporation manufactures towable recreational vehicles under the Aljo, Nomad, Layton, brand names. Quality is important. Skyline is the only manufacturer in the world that is UL (Underwriter's Labratory) approved. Skyline offers a full two year warranty. Brown's staff affords you a combined experience of over 175 years! When other firms were going under, Brown's RV honored their warranties. Brown's RV and Skyline are a team you can count on. We got it right with 30 years in the same location, with a company that's been in business for over 50 years. You can rest assured Brown's will be here to service all your RV needs in the years to come. Think about it... take a beautiful drive and save up to ten dollars a mile; make that as much as a thousand dollars and hour! Come on in and let's talk success. Thanks! We're here because of you, our customers. 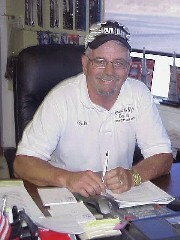 Brown's RV was Founded in 1977 by Burl Stutler, a pioneer in the RV Industry since 1948. Mr. Stutler passed away in 1980. Brown's RV was run by Mr. Sutler's widow, Zola Stutler until 1990 when Zola retired and sold the business to, two of her grandchildren, Jeff. & Michael Brown. They ran the business together until 2000 when Michael and his family relocated out of the area. 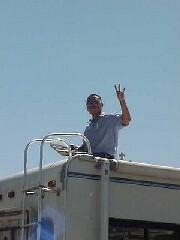 Today, Brown's RV is owned and operated by Jeffrey B. Brown. Jeff Brown is assisted by an able staff that includes Jeff's Mom, RV Mom Donna Dawson. 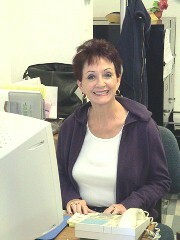 Donna does all of the paperwork and is the glue that holds Brown's RV together. 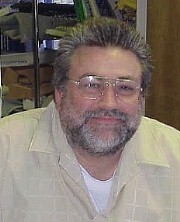 Mr. Blair Loudin has fifteen years managing sales. Blair's been camping and RVing for twenty years. "We don't pressure anybody - Just low-key great service" is his moto. 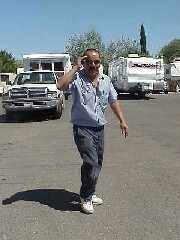 Our goal at Brown's RV is to take care of all your RV needs. We want to give you great service at fair prices. 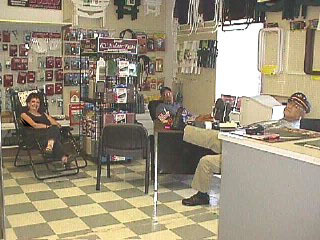 Come on in and shop in our relaxed atmosphere.